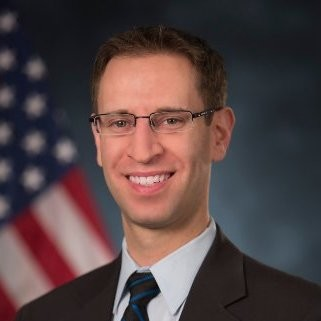 Ari Schuler joined U.S. Customs and Border Protection (CBP) in November 2015 and currently serves as an Advisor in the Office of the Commissioner. His portfolio includes information technology and innovation related topics. He also serves as the head of CBP’s commercial technology engagement portfolio, helping CBP identify and transition cutting edge commercial technology to enhance CBP’s capabilities. Prior to joining the Office of the Commissioner, he was the Director for Analytics Integration at the Targeting and Analysis Systems Program Directorate (TASPD) within the Office of Information Technology. In that role, he was responsible for supporting big data analytic research within TASPD, social media analytics integration and research collaboration with other government agencies. Mr. Schuler first joined the Department of Homeland Security (DHS) in October 2011 at the Science and Technology Directorate (S&T), where he most recently served as the Deputy Chief of Staff to the Under Secretary for Science and Technology. At S&T, he was responsible for supporting the day-to-day operations of the S&T front office and execution of the Under Secretary’s vision. Additionally, he served as the counter terrorism advisor for the Under Secretary, with a focus on countering violent extremism, aviation security and bioterrorism. He also oversaw the Privacy and Freedom of Information Act (FOIA) portfolios at S&T. In 2014, Mr. Schuler was detailed to the White House Office of the Intellectual Property Enforcement Coordinator (IPEC), serving as a Senior Advisor for Technology Policy. In this role, he advanced IPEC policies on advanced manufacturing, internet governance, counterfeit parts prevention and interdiction, and the protection of intellectual property in small businesses.